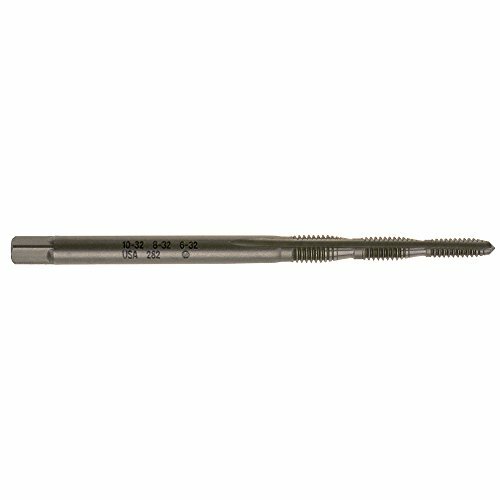 Klein Tools 6-in-1 Tap Tool quickly forms new threads and re-forms burred threads. It's also great for cleaning out plaster obstructions. Each tap size rethreads to the next larger size if threads are stripped. The Klein 626-32 Replacement Tap is a replacement Tap for Cat. Nos. 625-32 and 627-20. Each tap size retreads to the next larger size if the threads are stripped. It quickly forms new threads, re-forms burred threads, and cleans out plaster obstructions. Tap Sizes: 10-32, 8-32, 6-32. Weight: 0.02-Pound. 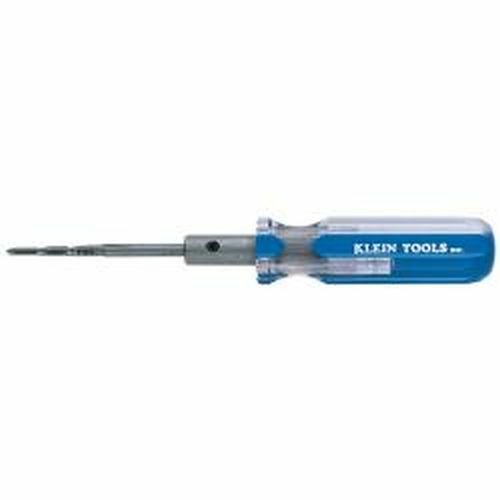 Klein Tools offers a variety of tip types, hex sizes, shaft lengths, and handle designs, Klein has the screwdrivers and nut drivers professionals demand to get the job done with comfort and ease of use. Since 1857, the company operated by Mathias Klein and his descendants to the fifth generation, has grown and developed along with the telecommunications and electrical industries where Klein pliers first found major usages. Today, Klein Tools Inc represents much more than Klein pliers. The company's product line has broadened to include virtually every major type of hand tool used in construction, electronics, mining and general industry in addition to the electrical and telecommunications fields. Internationally, Klein's products are available around the world through a well-established network of agents and distributors who stock the products that are required for their particular markets. Klein's reputation as a leading producer of professional-quality products is global. Tapping Tool - Six In One. 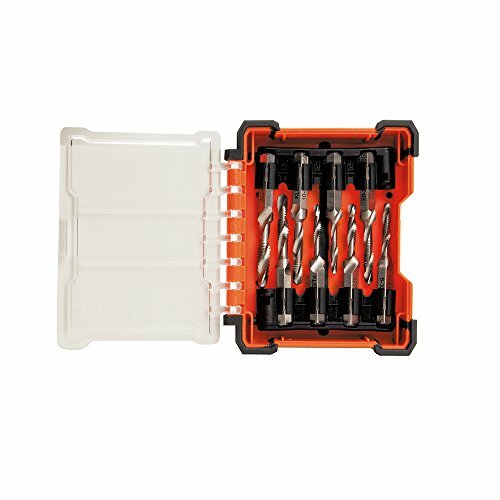 Compare prices on Klein Tools Tapping Tool at ShoppinGent.com – use promo codes and coupons for best offers and deals. Start smart buying with ShoppinGent.com right now and choose your golden price on every purchase.